to review Tokanto Daishi. Glad to see him return. This is true and happy scaping. Last edited by qt.bangerang; April 14th, 2013 at 12:33 PM. Woah, Tokanto Daishi is back! Maybe this time he'll even break his own record of fastest time through SoV! Now I just have to go and get me some more ninjas! Last edited by Sir Yeshua; April 13th, 2013 at 06:26 PM. Reason: Hey! What do you think you're doing? I wasn't finished! I'm happy to give my to review Tokanto Daishi. As before, nay to induct. I'm glad to hear that qt was open to the resubmission, Tiranx. I'm hopeful that qt. will come back and get involved here again, I miss his creations and his presence. Tokanto Daishi by qt. bangerang has receive 5 Yeas votes for review (Super Bogue, Scytale, vegietarian18, superfrog, and nyys) and moves onto united fanscape review. Interesting, I didn't even notice that until you mentioned that. I have no idea. The picture was saved under the original name of the figure and I had to edit my post to change it to the current name. Maybe Daishi was inspired by Tomoe Gozen to flip his name . I was partial to the name the unit had last time it was submitted, Kantono Daishi, but the name Tokanto Daishi is fine. I vote to induct Tokanto Daishi into the SoV. 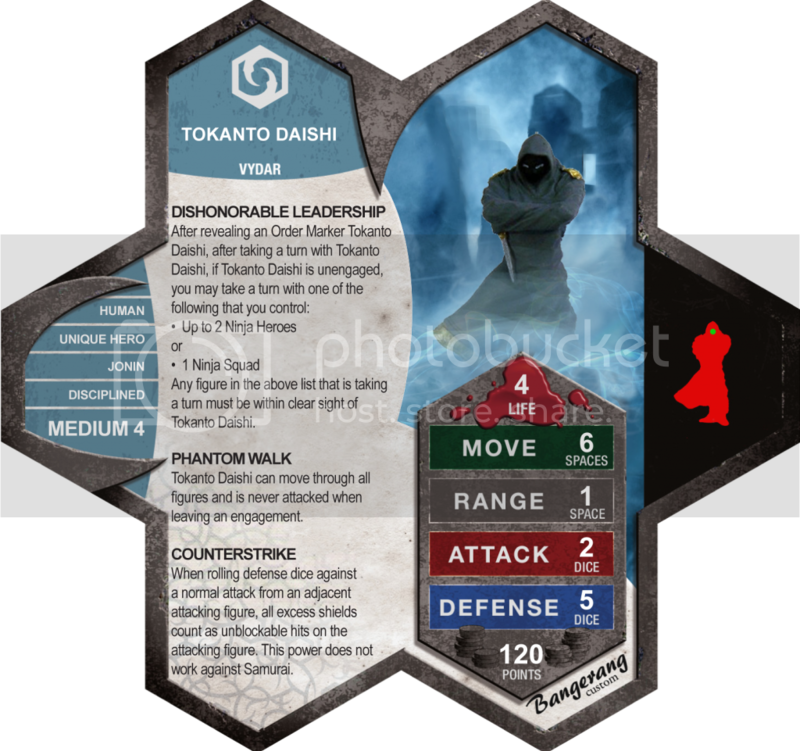 Tokanto Daishi by qt.bangerang, the only thing that I see that is different here is the name, so I will still vote Yea to induct this unit as well. That's funny. I didn't realize what version of Daishi I gave Tiranx. The name doesn't really matter to me so you can use the Tokanto Daishi card or the Kantono Daishi card below. You guys make the call.